Looking for unique kids clothes or gifts? Check out the new online catalog of the St Louis Woman’s Exchange web site launched this afternoon. 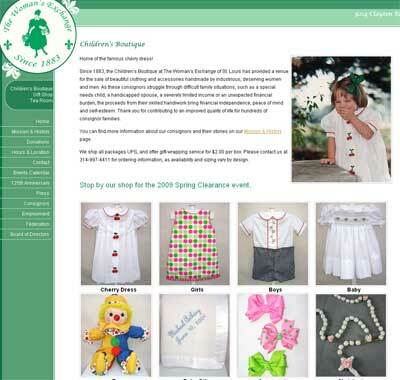 We configured the catalog so it could be easily populated by the client, they have made a great start and there is already a good selection of kids clothes.